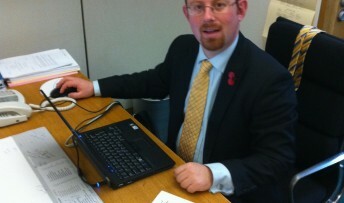 MP Julian Huppert has pushed the government to commit to future cash support for a highly successful project in Cambridge and Peterborough which supports women ex-offenders. He told Helen Grant, Justice Minister for Courts and Victims that the cities’ Women’s Resources Centres were worried about the future funding for their Dawn Project. Julian said today (Tuesday, March 19) in the Commons: “I visited the excellent Dawn Project in Cambridge and Peterborough which has done a huge amount of work with female ex-offenders and saves the state far more than it costs to run. Ms Grant told the Commons earlier that she had visited a number of the Women’s Resources Centres and she was impressed with what she had seen and she wants to see more provision for women. But she warned that some centres’ funding might have to be readjusted and they might have “to do more with less”. She refused to comment on individual cases but told Julian: “We are engaging with all 31 centres and new ones are coming on board too. Julian said later: “It would be an absolutely tragedy if the Dawn Project were to be lost or scaled back because the government cannot give it the funding support it needs and deserves. “The work taking place is giving women real practical help with everything from finding suitable accommodation to accessing education and training and dealing with health issues.